From this autumn, TBS will be opening up a new drama slot on Wednesday midnights challenging to produce the best edgy dramas and fostering future creators that can lead TBS drama. 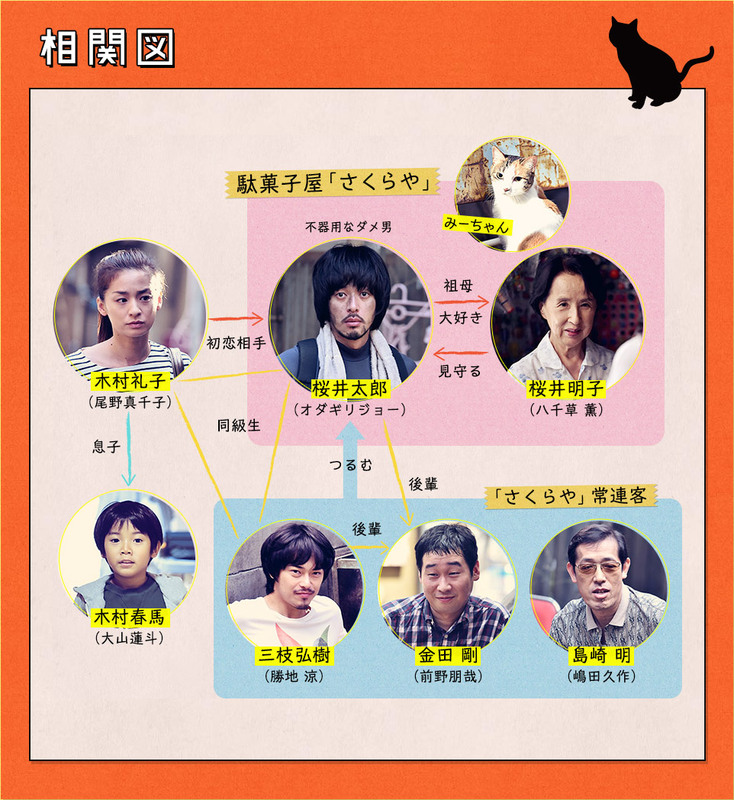 The first drama is TARO's CANDY HOUSE starring Joe Odagiri. Taro (Odagiri) was raised by his grandmother, Akiko (Kaoru Yachigusa), who runs a candy store. He helps her to manage the store but the financial situation is very tough. Regular customers like Saegusa (Ryo Katsuji) - Taro's old friend who wants to be a screenwriter - gather at the shop to help Taro as he struggles to save his grandmother's store. Meanwhile, their other old friend, Reiko (Machiko Ono) comes back to the town with her son after getting divorced. As old friends gather again, they start to face a past of old dreams and heartaches, and then they start to realize something important. Sweet but having lived in Japan I know that these Shitamachi pockets of an older way of living only exist on TV. Nice little drama about Odagiri Joe and his grandmother's candy store and where life takes you. watched barely two episodes. Don't really know wha this was about.